Free Download : RPG Game 'The Mysterious Card' for PC - All Summer long ! Free Download : RPG Game ‘The Mysterious Card’ for PC – All Summer long ! Not to Miss. Summer is coming. Why not to begin now with a RPG Game that will keep you busy all Summer long. 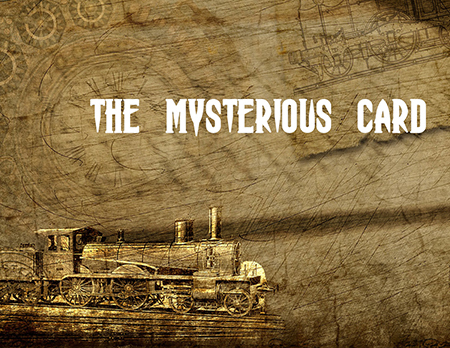 The Mysterious Card, is available for free (PC Version). It begins Now. Based on the books The Mysterious Card and The Mysterious Card Unveiled by Cleveland Moffett, the game sets players off on an exciting mysterious puzzle adventure through the Europe and United States with the players taking on the role of Richard Burwell. Richard Burwell will never cease to regret at never having learnt the French language. Help him at your own risk in his quest filled with traps and interrogations. The answer might not be what he expected ! Use the WASD or arrow keys to move your character or click on the location you want to move to. Click on an interactive object like a NPC to interact with it. Left-click button to proceed dialogue or use Z for interaction. Use Escape key or right-click button to open/close your inventory and menus. It will bring yup more options for items, combat or environment.